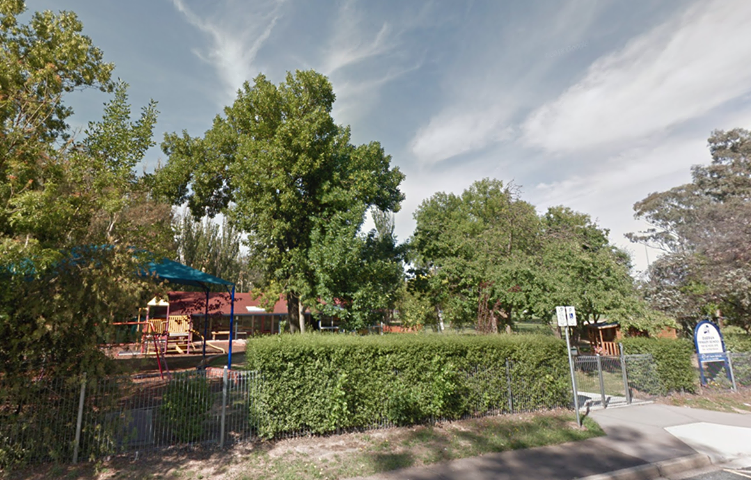 Earlier this year we enrolled our 4 year old in our local public pre-school, in inner Woden. Offers we made today and our child was not granted a position. Instead we were offered a position in a school 3 suburbs away. We pass on both accounts, owning a house in the suburb the school is located and we have an older sibling in the Kindergarten at the primary school. OK, so lets assume all 45 children that were given places at the pre-school have siblings at the primary school and live in the suburb. Whats the next factor that is looked at? The only thing I can think of that counted against my child was I paid the school fees for the older sibling, a little late. I paid early last week. I paid in excess of the required fee ($150 instead of $125) AND made a sizable donation ($100) to the optional library fund. I don’t know if there was a ‘due date’ on these fees, but almost certainly it was AFTER the decision was made to exclude my younger child from the pre-school. Question for RiotACT readers: Could my child have been excluded because at the time the decision was made, I hadn’t paid the school fees for the older sibling? I have the contact details of the Education Directorate (Manager, Early Childhood Education: 6207 1961; PreschoolMatters@act.gov.au) but would love to hear from you as well. I doubt it's a payment thing. By the sounds of it you pay more than most. Possibly 45 others applied meeting the exact criteria ahead of you. @ Tarz Lam – the information published on the Education Department website implies that children in the PEA who also have a sibling already attending the school get some preference. If a school is going to enrol on a first come first serve basis without regard to siblings (ie other than what the department says publicly) then they need to be open about it and make that information available to all potential applicants. Some schools fill preschool placements on a first-come-first-served basis. I would guess because people from other suburbs for some reason school shop. They pretend to live in a suburb they want to send their children in, by renting an apartment or using a friends address. This puts pressures on school numbers the whole way through school. People should support their local school. All act schools are great. I wonder if the ACT gov did an audit on where people actually lived compared to where they tell their school they live, what the findings would show. You are guaranteed a place, just not at the nearest pre-school. You can request a review from the principal but it probably wont help unless another child leaves. Wondering how late you submitted the application after they opened? Could it just be a numbers thing? You say you live in the same suburb as the school but the question is do you live in the priority entitlement area for your school of choice? There are cases where the enrolment area may be in another suburb. A good example is parts of Charnwood have Fraser as their priority enrolment area. The same applies to many suburbs around the place. You own a house in the suburb, is that where you live or is it an IP? Apologies, I didn't make that clear. We have resided in the suburb for years. re: "Clamp down on people not living in the area" - This is an interesting point. We clearly meet that criteria, as well as have a sibling in the school. It would be interesting to know if all the children who were offered positions genuinely meet that criteria too. From my casual observations at drop-offs & pick-ups, I find it hard to believe that there would be 45 other children who would meet this criteria. Call me paranoid, but I am suspicious there has been some funny business going on. You need to contact the school and make an appointment to discuss rejection. It’s possible the school may not actually know if the decision was made at a higher level. You should then follow the appeals procedure. Fees at ACT public schools are voluntary so non payment of fees would not be an issue. Probably worth checking again, thanks.